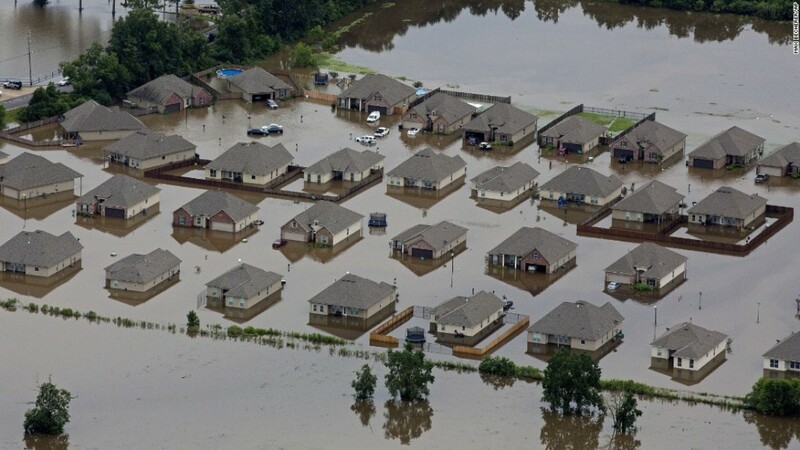 Deadly flooding in Louisiana is stretching state emergency response efforts to their limits, as officials and residents not only contend with floodwaters but also a widespread cellular network outage in large parts of Louisiana, Oklahoma and other areas. As is often the case in natural disasters, the vulnerability of terrestrial networks has reared its head not just due to just the massive influx of phone traffic between concerned residents, but also due to damaged cellular infrastructure. After a switching tower that directs cellular phone traffic flooded, cellular service with one major carrier was down for hours for a large number of Baton Rouge residents, further complicating rescue and evacuation efforts. 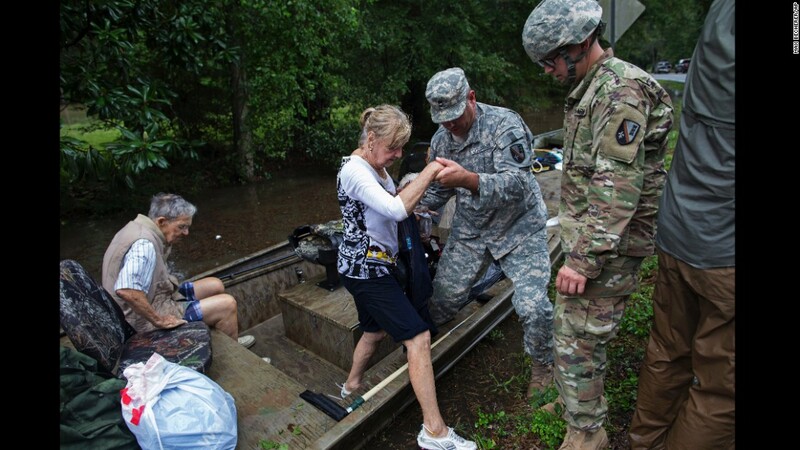 The situation in Louisiana is just the latest instance of cellular networks proving insufficient to meet the needs of the public and authorities during emergencies. Everyone in the U.S. remembers that when Category 3 Hurricane Sandy hit the Eastern seaboard of the United States in 2012, cellular networks were not only overloaded, but also faced massive infrastructure damage and destruction from the high winds and heavy rain. Again, local residents and public authorities were faced with sporadic to no cellular communications. The problem with reliance on purely cellular communications is multi-faceted—not only are vital emergency response services and communications between residents jeopardized, but so too are everyday business operations that are critical to ensuring processes are kept up and running and at optimal efficiency. Take for instance a local or regional carrier that relies solely on cellular networks to track its trailers and/or control the temperature of perishable cargo. When cellular coverage is compromised, fleets are sent back to the dark ages and have virtually no in-transit visibility of their assets. By adopting a dual-mode tracking and monitoring solution that provides satellite coverage only when you need it, carriers can ensure that their fleets and drivers are safe and connected at all times, even during natural disasters. Because satellite is not dependent on local infrastructure like cell towers, dual-mode cellular-satellite tracking, monitoring and control solutions are an excellent option to ensure service uptime during emergency situations. Plus, the best satellite networks provide multiple site redundancies to ensure a constant service level an order of magnitude better than cellular. While cellular network SLAs (Service Level Agreements) can be as high as 99.5%, that missing 0.5% still translates to over 43 hours a year without wireless service, and that’s assuming there is no infrastructure loss. Satellite communications as a backup ensures continuous and reliable communications during emergencies, even when cellular infrastructure is compromised. Whether it’s preparing for disaster, warning the public, or communicating during after an emergency, satellite is increasingly being used to establish consistent and reliable communication during times of distress. 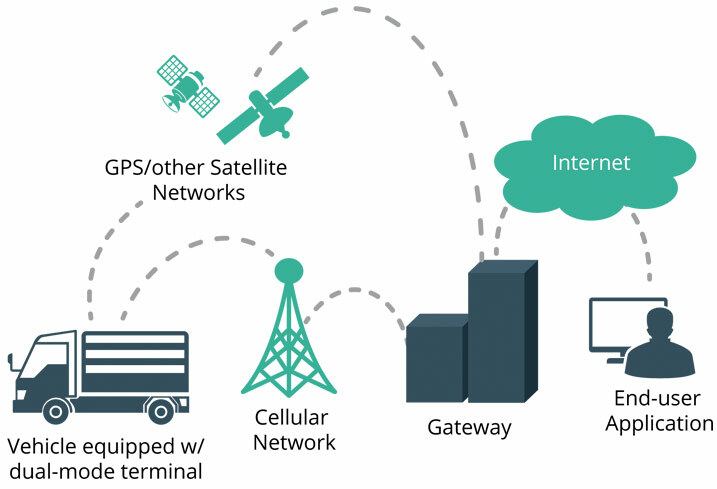 Transportation: Why Choose Dual-Mode Cellular-Satellite?